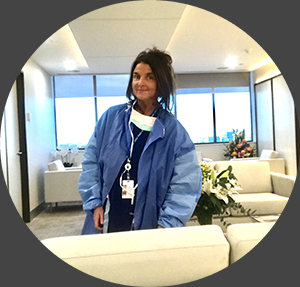 Each year, around this time, I perform a detailed audit of my surgical activity for the previous calendar year, which I publish in February/March on this webpage and also post on Facebook -www.facebook.com/DrJaneOBrien. 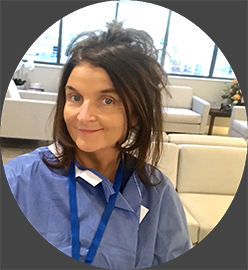 I believe that it is useful and informative for breast surgeons to regularly undertake a formal assessment and analysis of their surgical activity for breast cancer, and in my opinion, this information should ideally be made available to existing and potential patients. A preliminary sneak preview of my 2017 audit reveals a very significant change in the type of immediate breast reconstruction performed at the time of mastectomy for cancer in 2017 in comparison to previous years, with a reversal in the ratio of autologous (tissue flap) vs alloplastic (implant based) reconstruction. (all DIEP flaps), compared to 26% in 2016 and 21% in 2015. 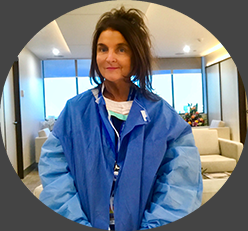 The dramatic increase in tissue based reconstruction in my practice in 2017 occurred primarily as a result of research first presented at the annual San Antonio Breast Cancer Symposium (SABCS) in December 2016, which has since been published online ahead of print in the Journal of the National Cancer Institute (JNCI) Feb 2018 (1 ), which provided evidence supporting my long held personal view that autologous flap reconstruction is an appropriate option to consider in women desiring immediate reconstruction at the time of mastectomy, who require, or are likely to require, post-mastectomy radiotherapy. reconstruction”. Many women undergoing mastectomy hope to avoid radiation therapy because of a range of potential harms, including skin changes and fibrosis. Although many patients who have a mastectomy can avoid radiation, therapy there are patients, including those with nodal disease (4 or more involved nodes and even and increasingly even 1-3 involved nodes), for whom post-mastectomy radiotherapy reduces the risk of recurrence. Because of the tissue damage from radiation, these women may have more problems with reconstruction surgeries. There are a range of different kinds of reconstruction, which can be separated into two broad categories; implant based and autologous reconstruction. Not all patients are not necessarily candidates for autologous reconstruction, which is a long and involved procedure. In patients who pursue implant reconstruction, potential complications related to radiotherapy include scarring, capsular contracture, infection, pain, skin necrosis, fibrosis, and impaired wound healing. Patients who pursue autologous reconstruction may also face radiotherapy-related complications, including fat necrosis, fibrosis, atrophy, and flap contracture. Immediate implant based reconstruction, followed by radiation, with skin tanning and capsular contracture. The MROC study included 662 radiated and 1,625 nonirradiated postmastectomy patients who received either implant or autologous reconstruction at 11 institutions in the United States between 2012 and 2015. The median age of patients was 49 years. The study endpoints included complication rate, failure rate, and patient-reported outcomes. Although a higher proportion of women who received postmastectomy radiotherapy received autologous reconstruction (37.9%) than unirradiated women (25.0%), implant techniques were still the most common approach observed in this multicentre cohort, even in the setting of radiotherapy. Other studies have demonstrated a dramatic increase in the use of implant reconstruction over time. This trend may be partly driven by patient preferences to minimize the acute morbidity, operative time, hospitalization, and recovery time. Of course, not all patients are candidates for autologous techniques, and not all patients would choose an autologous approach over implants even if aware of the complication and outcomes data. Overall, radiation was linked to more than doubling the risk of complications in women who had implant reconstruction, but was not associated with a higher risk of complications in women who had autologous reconstruction. By two years, reconstruction failure occurred in 11.4% of radiated patients and 3.4% of non- radiated patients. Rates of reconstruction failure by two years were 18.7% among irradiated patients with implants, 1.0% among irradiated patients with autologous reconstruction, 3.7% among unirradiated patients with implants, and 2.4% among unirradiated patients with autologous reconstruction. When the researchers looked at how the women rated their satisfaction with their reconstruction results, they found that among women with implant reconstruction, those who were treated with radiation were less satisfied than women who didn’t receive radiation. There were no differences in satisfaction among radiated and non-radiated women who received autologous reconstruction. Patient-reported outcomes on the BREAST-Q (a validated quality-of-life instrument) were consistent with these findings. Radiated patients had a lower satisfaction rate with their reconstruction than nonirradiated patients and were more satisfied with outcomes of autologous breast reconstruction than implant reconstruction. A sub-study of MROC, discovered that women who elected for autologous reconstruction had greater overall satisfaction with their breasts than those who chose implants, and reported better outcomes on other quality of life measurements. 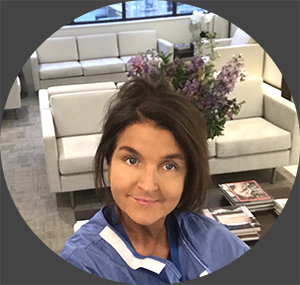 The study, published in the Journal of Clinical Oncology-JCO (2), found that women who underwent autologous breast reconstruction, reported greater psychosocial and sexual well-being than those who chose implant-based reconstruction. Radiation therapy compromises the outcomes of implant reconstruction but NOT of autologous reconstruction. The main takeaway point from this large prospective trial is that radiation compromises the outcome of implant reconstruction. Autologous reconstruction appears to have superior patient-reported outcomes and a lower risk of complications than implant-based approaches in patients receiving radiation. 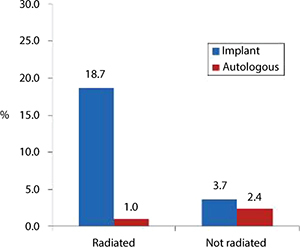 Patients who had implants were more than 2 ½ times more likely to experience complications than those with autologous reconstruction, and within the first two years, 11% of radiated patients with implants experienced reconstructive failure, compared with 3% of non-radiated patients. 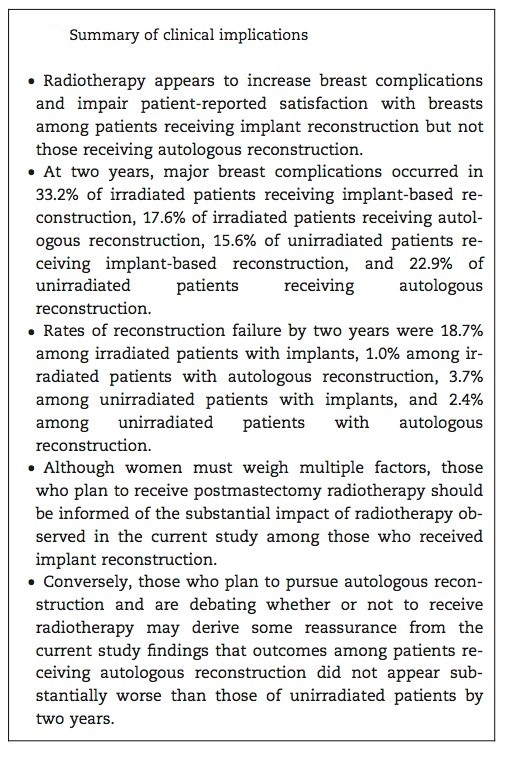 Although women must still weigh multiple factors, including their suitability, differences in operative time and rehabilitation required for different approaches, when selecting their preferred type of reconstruction, those who are likely to receive post-mastectomy radiation therapy should be informed of the substantial and significant impact of radiotherapy observed among patients who received implant reconstruction. Conversely, those who wish to pursue autologous reconstruction may derive some reassurance from the current study findings that outcomes among patients receiving autologous reconstruction did not appear substantially worse than those of unirradiated patients by two years. The appreciation that radiation has a negative impact on implant-based reconstruction is not new. What is new, is finally some robust evidence that radiation does NOT have a markedly negative affect on autologous reconstruction. Many plastic surgeons have been (and still continue to remain) reluctant to offer autologous flap reconstruction to patients who require or are anticipated to require post mastectomy radiotherapy, leaving the patient with the often less acceptable options of implant based reconstruction followed by radiotherapy, “delayed-immediate” reconstruction, in which a two- stage approach comprising a tissue-expander or implant in the first stage, and subsequent autologous reconstruction or delayed reconstruction. This new research adds strong support to the contention that immediate flap reconstruction is an appropriate option to offer suitable women who require or are strongly anticipated to require radiotherapy, and has already had a major influence on my own personal breast cancer surgical practice, as evidenced by the very significant increase in the proportion of autologous flap reconstructions in 2017, compared to preceeding years.